PC-based consumption of online video in India has doubled over the past two years, according to new figures released by comScore today. The research firm — which, it should be noted, does not track data from mobile or tablet devices; more on that below — says 54 million India-based Internet users watched videos online in March 2013, up 69 percent from the 32 million it logged in March 2011. 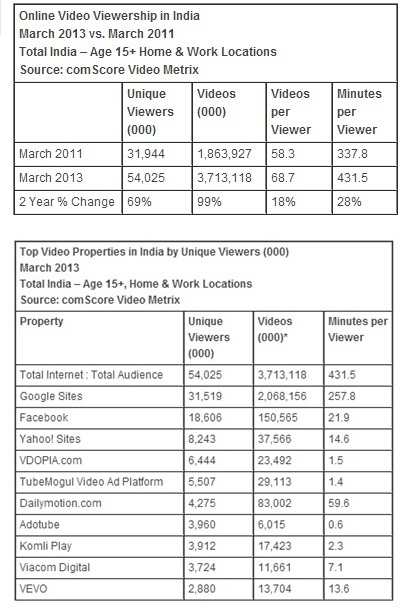 While that is somewhat expected, since Internet adoption is growing in India, the actual number of videos being watched per month has doubled from 1.8 billion in 2011, to 3.7 billion last month. That’s likely due to the development of content and user behaviour. Last month’s average number of videos per user was 18 percent higher than two years ago, while the average time spent watching videos clocked in at 431.5 minutes per month — up 28 percent since March 2011. 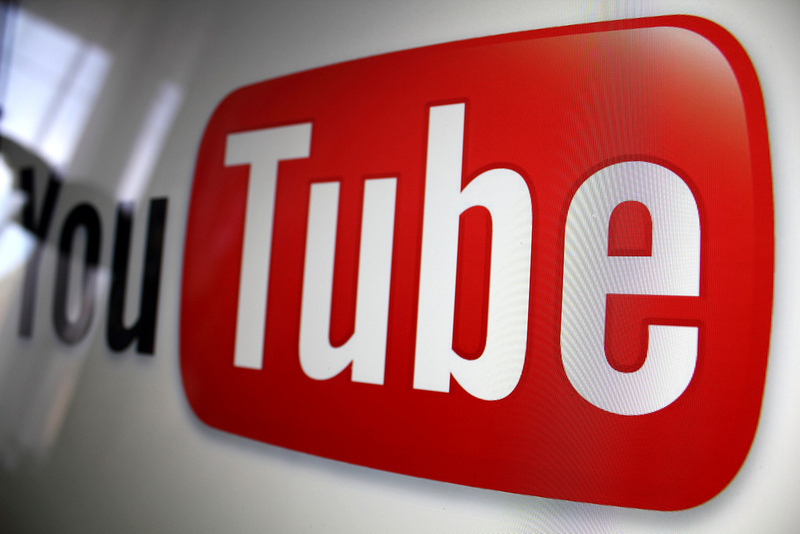 As is the case in many markets, YouTube and other Google sites tops the charts for the number of users (31.5 million), the number of videos consumed (2 billion), and average user session (258 minutes). Facebook runs in second, while, interestingly, France-based Daily Motion — the company Yahoo recently failed to buy — ranks sixth on users but has the second highest average watching session. As mentioned at the top, comScore only tracks Internet visits from work and home PCs, which means no data from mobile devices is included. Given the way that mobile is progressing in India — last year mobile Internet usage overtook that of fixed-line PCs, according to Statcounter — that is quite some omission. Including stats for mobile would likely change these results considerably — particularly around average user session. However, as it is, and bearing in mind that caveat, the findings are insightful and show that India’s Internet continues to grow with Google and Facebook firmly at the content helm.